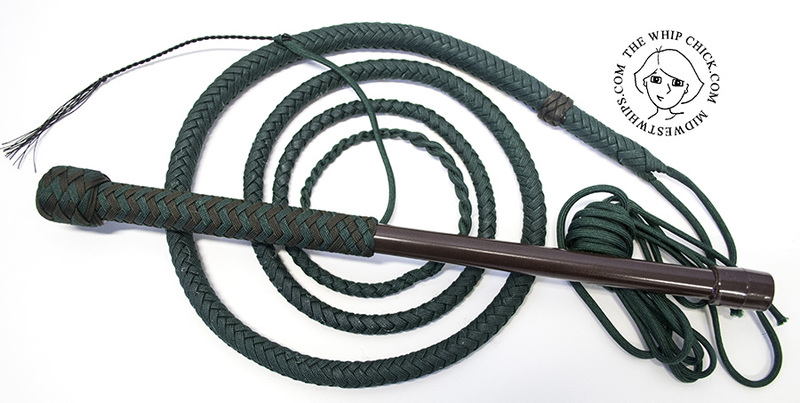 This matching pair of whips – a PH and a Snignal – are based on the Green Gradient whip pattern, but each by special request include a few more paracord strands of the color dark green. All colors used include dark green, kelly green, neon green, and black. 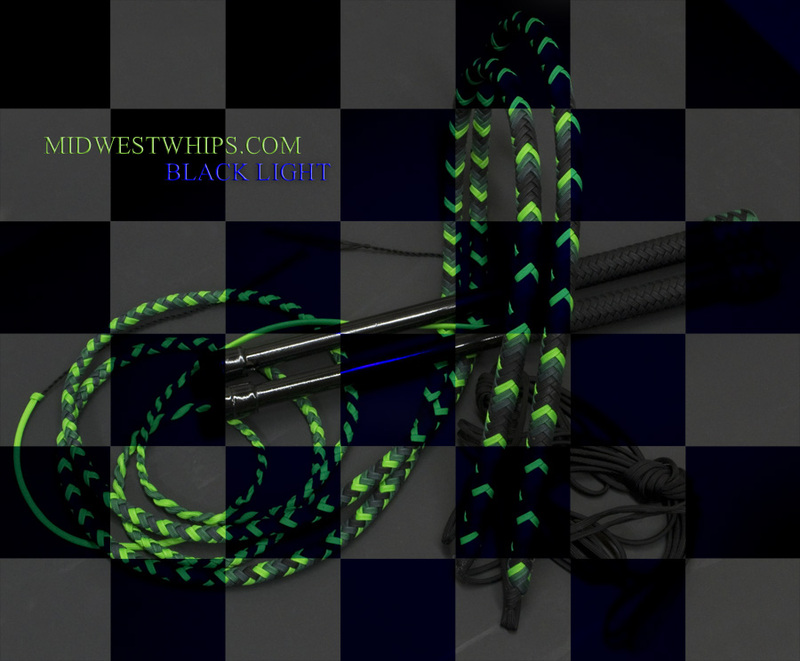 (Click on the photos to see larger versions) This matched pair of Performance Hybrid Nylon Whips was custom made for Jorgen in a Green Gradient pattern using Dark Green, Kelly Green, Neon Green, and Black paracord. The neon green paracord is black light responsive!